This is actually the second IBM JX system to come into my possession. In 1996 two of my friends at school were in the right place at the right time as they managed to grab a system each as they were being thrown out. A few months later one of them gave me the system unit and extended keyboard he had got as he hadn't even taken it home yet. Unfortunately I couldn't run it without a monitor so I ended up pulling it apart in the vain hope I could reuse the reciever for the infrared keyboard. A number of years later the other friend was about to throw his complete system (including boot disks) away when he offered it to me. I jumped at it so that is where the current system unit, display and small keyboard came from. 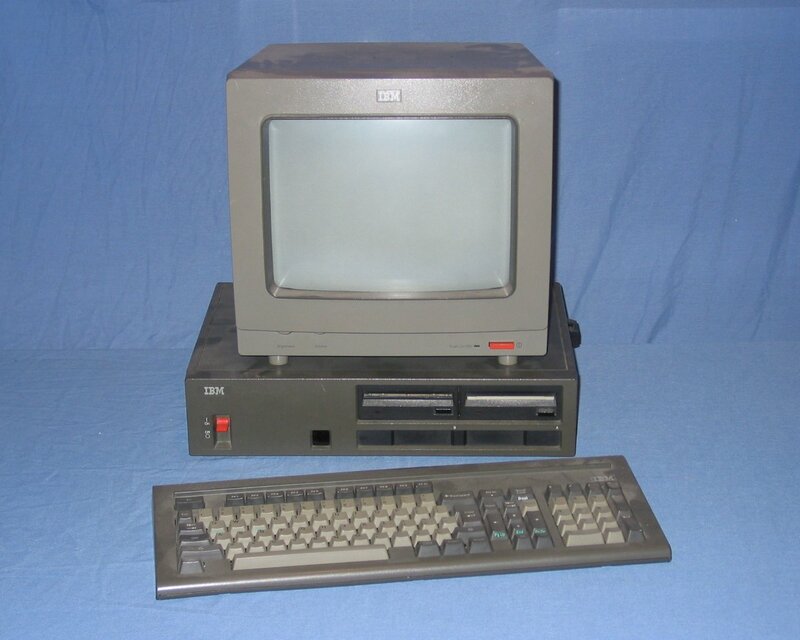 A complete IBM JX system comprising the system unit, display and keyboard. 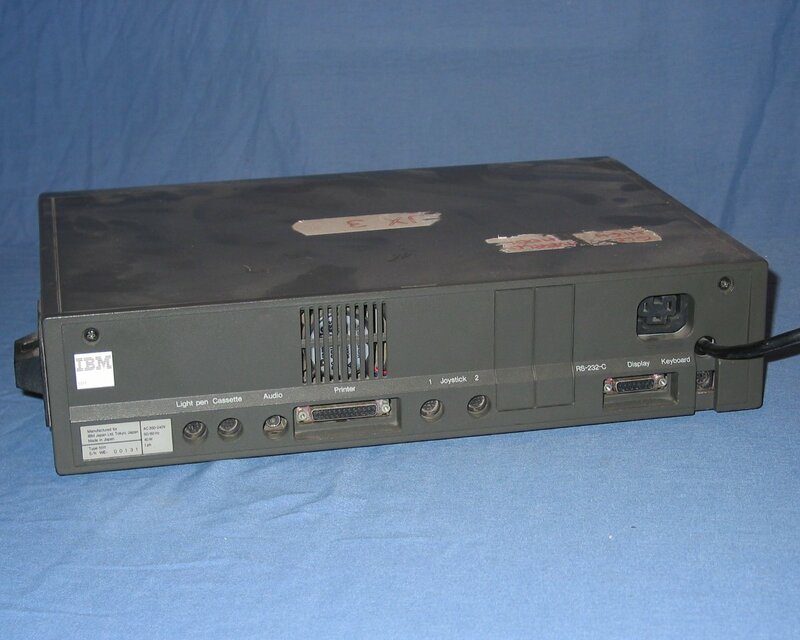 The front of the system unit features two 3.5" floppy drives, two cartridge slots, the infrared receiver for the keyboards and the nice red IBM power switch. Rear of the unit showing the Light Pen, Cassette, Audio, Printer, two Joystick, and Monitor connections. Also visible is a pass-through power socket for the monitor and the removable covers for the optional RS232 card. 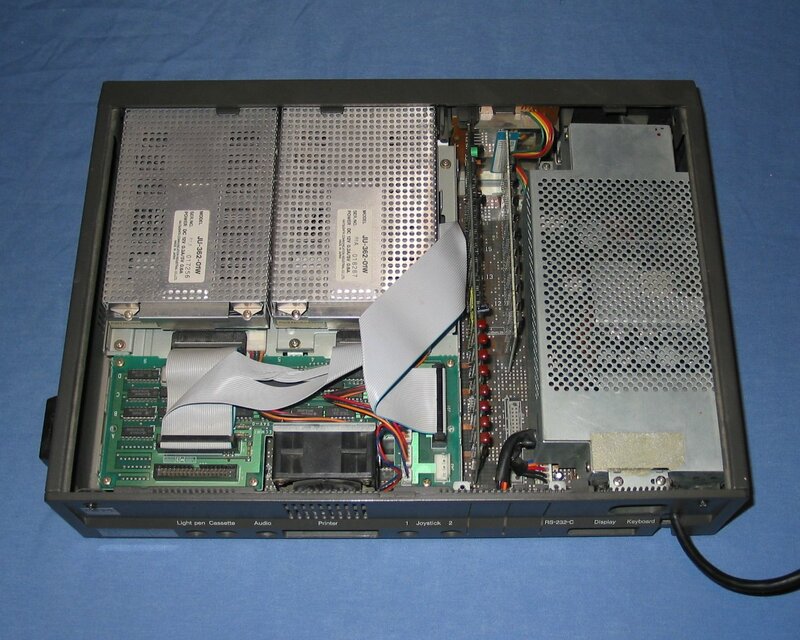 With the top cover removed the (from right) power supply, memory expansion cards, and the two 720KB disk drives with their controller can be seen. 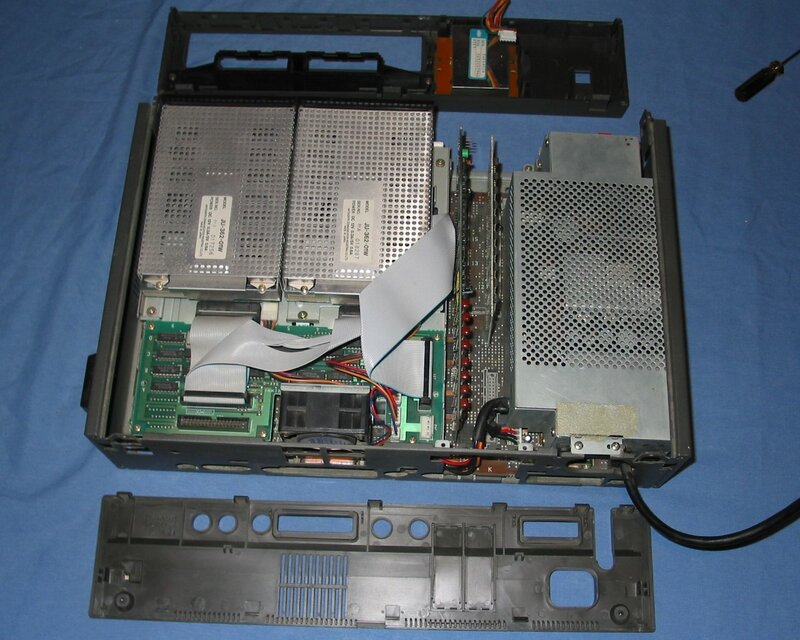 I have also been informed that their was an optional expansion unit that attached to the top of the main unit and contained a 5-1/4" disk drive or a hard disk drive that plugged into the spare connector on the drive controller (to the left of the fan at the bottom). The plastic front and rear panels detatch from the metal chassis. Removing the rear panel does not achieve much but removing the front facilitates changing the keyboard IR module and futher disassembly of the system. The two expansion cards removed from the system. It can be fairly confidently dsaid that the lower card provides 64 kilobytes of ram (EXRAM64) and the conclusion could be made that the upper card contains 128 kilobytes and possibly also a real time clock (hence the battery). The two drives and their controller card can be removed from the system as a single unit. 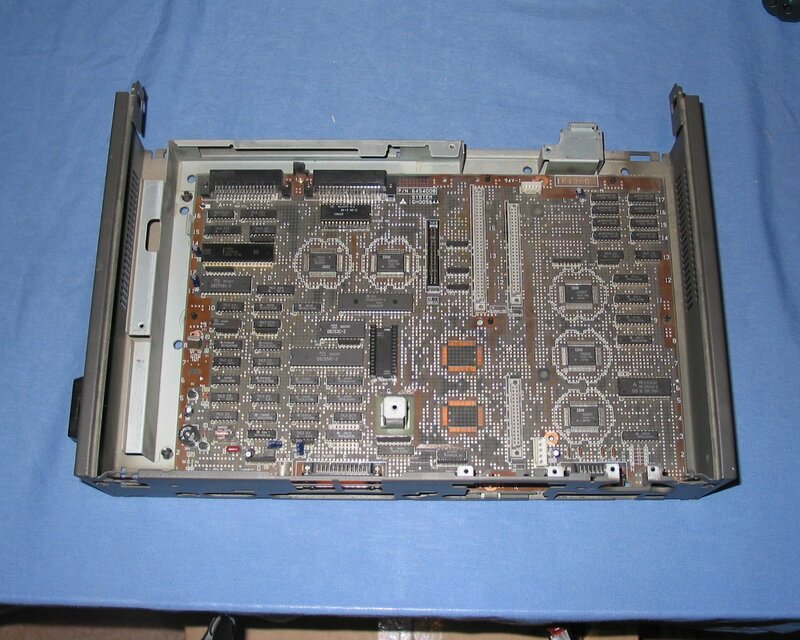 Once the drives, power supply and expansion cards are removed the main logic board is exposed which covers almost all of the bottom of the chassis. 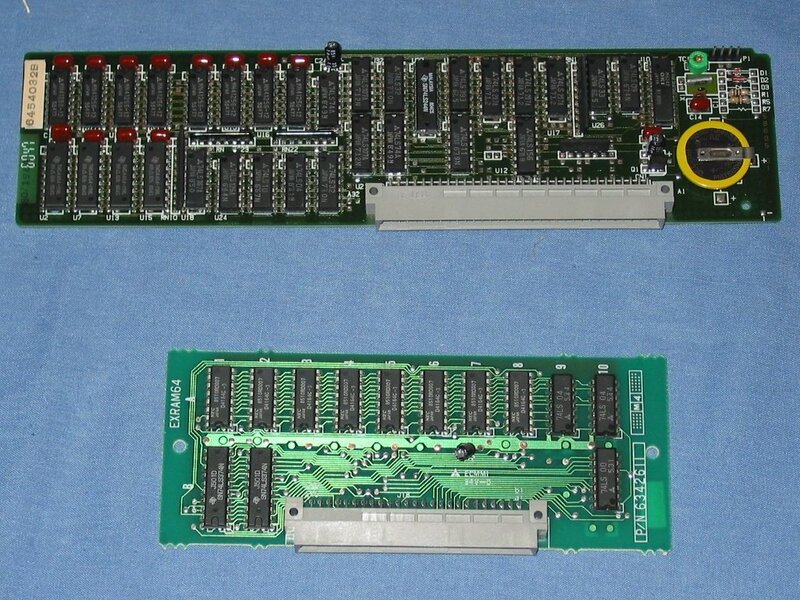 The Intel 8088 processor is located on the left (from this view) towards the front of the board (top in this view). 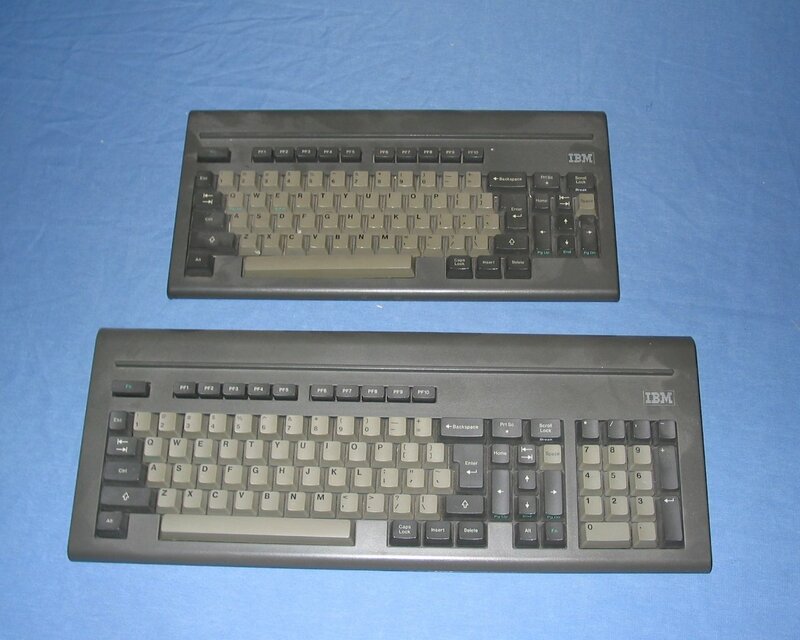 The two types of keyboards that were available with the system, with and without a numeric keypad. Both types can operate via a cable or with the addition of four AA batteries via infrared. 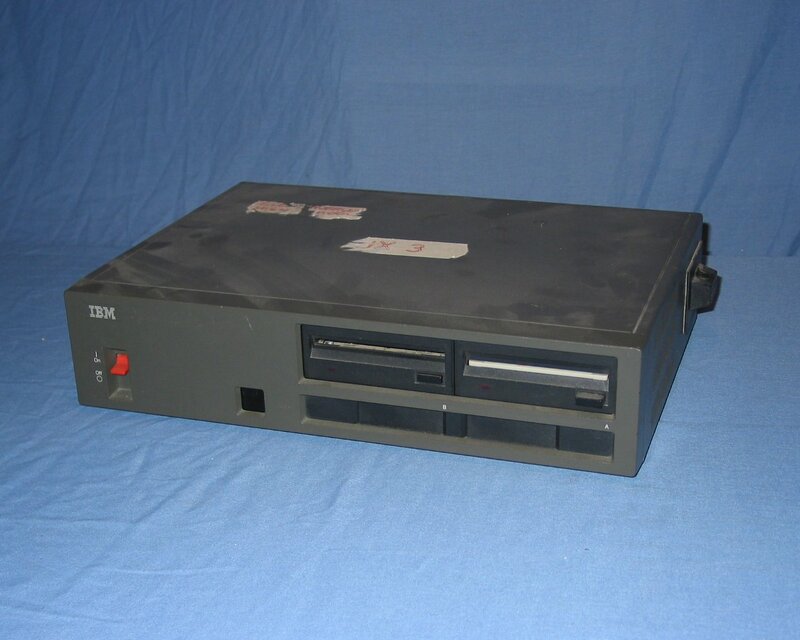 "IBM JX was what the PCjr should have been. It was first released in Japan with dual English/Kanji features, but has not been a big succes in that market dominated by Japanese companies." 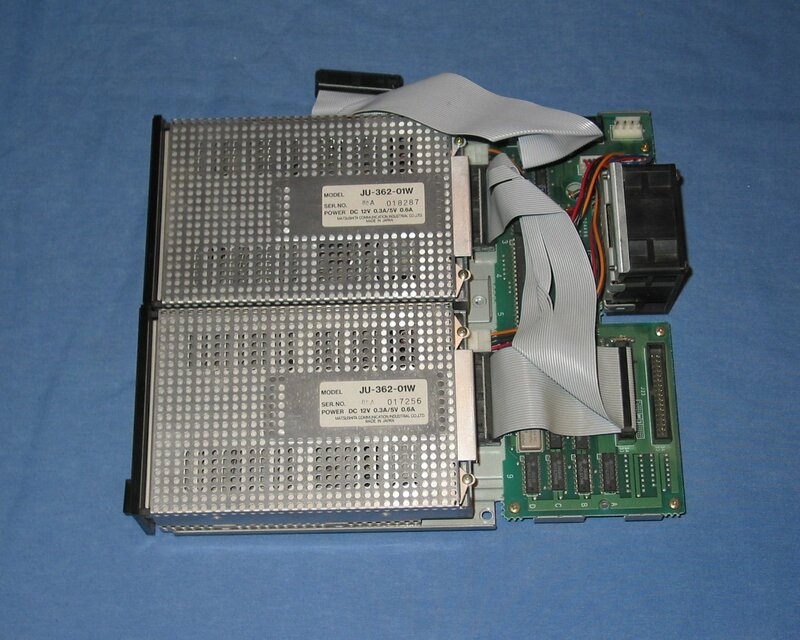 "In a last ditch effort to produce a plausible home computer, IBM designed the JX, PCjr's direct descendant. More like PCjr itself in a case coloured differently..."
"IBM failed to capture the home computer market in the USA with the IBM PCjr. So they put their tail between their legs and tried again with the IBM JX in Australia & Japan." "This official IBM accessory for the IBM JX would set you back AU$5,000 and allow you to store a huge 10 MB!"